When it comes to offering the best advice, and support for one of the most important times in your life, It takes a dedicated an highly focused person who understands the needs of todays retiree. Ann is an author, experienced entrepreneur, seasoned self-directed investor and a highly sought-after retirement consultant. For more than 30 years, Ann has worked diligently to build her own personal financial security. After suddenly finding herself a widow in 2009, Ann needed to learn – and fast – about finances, survival and ultimate retirement. Having been in the trenches herself, Anne’s experience gives you real world advice, that works. Born into a family of entrepreneurs, Ann grew up in a household that valued self-reliance and perseverance. Following her parents entrepreneurial lead, Ann has been self-employed for most of her adult life. From managing a farm to running a successful animal feed shed business, she learned more than how to tend animals and mend fences. Ann absorbed a wide range of knowledge and experience that included bookkeeping, real estate development, real estate investment, and government relations. She’s relied on these skills for her entire life. Convinced that anyone can achieve financial security and live the life of their dreams, Ann stresses the importance of creating multiple income streams. After operating several businesses and investing in real estate, Ann began her financial investment journey after she sold an investment house and placed the proceeds in a SMSF and has had to deal with the challenges of owing investments through the GFC. Ann’s book, Retire Well, Retire Happy, is a practical expression of her independent spirit and financial savvy. She is committed to helping others establish lifelong financial security, establish retirement relocation registers and promote education and choices through careful planning, persistence and patience. Having balance in her life is also a focus with happiness, health and longevity pursuits’ also holding a strong focus in Ann’s life. Ann’s commitment to financial security inspires her active membership in several organisations that celebrate and support self-directed investors. She is a member of the Australian Investors Association and the Successful Investor Group of U3A which exists to help its members become more successful long-term investors. She is also a member of the Association of Independent Retirees which represents the interests of self-funded retirees. Ann participates in the Insiders Club that has an international focus on investing in the US market. Ann is also a member of National Seniors which is the largest organisation that represents the over 50s in Australia. Always adventurous, exploration and learning about other cultures has always fascinated Ann. She has been fortunate to have travelled extensively around the world. Her travels have taken her to more than 40 countries including Fiji, Singapore, Thailand, New Zealand, Scotland, England, France, Monaco, Austria, Germany, Italy, Spain, Turkey, Greece, Holland, Syria, Iran, Afghanistan, Jerusalem and India. Ann’s focus is on financial planning and creating a happy, healthy life leading to her retirement. Ann is enjoying the next part of her life interviewing Australians about their retirement experiences. Ann has become a leading ‘retirement warrior’ helping other hapless women (and some men!) 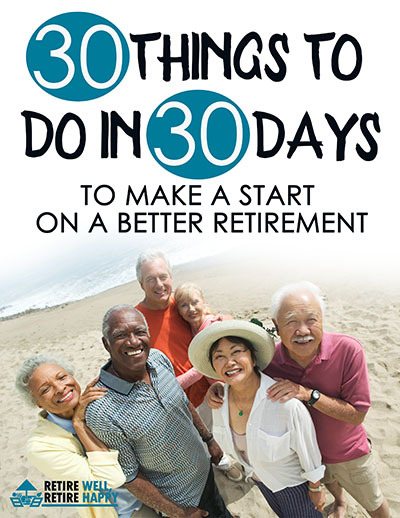 to understand the need for decent retirement planning. If you have the opportunity, please share your experiences with Ann and help other Australians to retire well and retire happy. 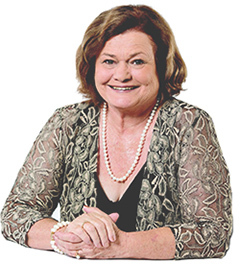 Ann has always volunteered and is a member of the LNP formerly the Qld National Party and Lions International. When she’s not travelling, Ann lives on a farm at Woodstock, near Townsville, Queensland.